Alzheimer’s Disease: Are You, Poor Sleeper, at Risk? I talk quite a bit about dementia and Alzheimer’s disease with family and friends. Our parents are drifting into cognitive impairment, asking the same questions again and again and struggling to find words to express themselves, and we wonder if we’re destined for the same fate. The concern may be justified in middle-aged adults with chronically poor sleep, according to new research on sleep and two proteins involved in Alzheimer’s disease. Here’s more about the study and its relevance to people with insomnia and other sleep disorders. Previous research has shown that poor sleep increases the risk of cognitive impairment. And mild cognitive impairment—trouble thinking and memory loss—is one of the first signs of Alzheimer’s disease. The cognitive declines and memory problems gradually worsen as deposits of two proteins—amyloid beta and tau—grow thicker and thicker, causing brain tissue to atrophy and die. To date the disease is irreversible. Sleep apnea, or pauses in breathing that occur repeatedly throughout the night, leaving sleepers feeling unrested in the morning. Restless legs syndrome, in which sleep is disrupted by involuntary leg movements in the first half of the night. Which feature of some or all of these sleep disorders might hasten development of amyloid plaques in the brain? The researchers suspected the problem had to do with deep, or slow wave, sleep, which is associated with feeling rested and restored in the morning. So they set out to see if disrupted slow wave sleep would bring about increased levels of amyloid beta in the brain. Seventeen healthy adults ages 35 to 65 participated in the study, none with sleep problems or cognitive impairment. Each participant wore a wrist watch-type device to monitor their sleep. After several nights of wearing the device, participants spent a night in a sleep lab. There, they underwent a sleep study that involved wearing headphones. Half of the participants were allowed to sleep without interruption. The other half experienced sleep disruption. Every time they entered deep sleep, they were subjected to beeps that grew louder and louder until their slow waves disappeared and were replaced by brain waves characteristic of lighter sleep. The participants subjected to the beeps reported feeling tired and unrefreshed in the morning although they slept as long as usual. Most did not recall awakening during the night. All participants underwent a spinal tap so researchers could test for levels of amyloid beta and tau in the spinal fluid. The procedure was repeated a month later, when the participants originally allowed to sleep uninterruptedly were subjected to the beeps and the others were allowed to sleep without interruption. Another spinal tap was conducted in the morning to measure protein levels. So disrupted slow wave sleep increased amyloid beta levels after just one night and tau levels after several days of poor sleep. Evidently, one function of slow wave sleep is to help rid the brain of byproducts that collect there during the day. When deep sleep is compromised, amyloid beta and tau start to accumulate. Development of cognitive impairment and Alzheimer’s is then more likely to occur. So does the overall risk of developing Alzheimer’s increase with every poor night’s sleep? Probably not. Lead author Yo-El S. Ju, cited in a Washington University press release, said it’s unlikely that a single night or even a week of poor sleep has much effect on overall risk of developing Alzheimer’s disease. Amyloid beta and tau levels probably go back down the next time the person has a good night’s sleep, she said. It’s people with chronic, untreated sleep disorders who should be concerned. Here, too, a dose of perspective is in order. Slow wave sleep occurs during the first half of the night. People who suspect they have sleep apnea, which occurs throughout the night, or restless legs syndrome, which occurs during the first half of the night, would be wise to see a sleep specialist for diagnosis and treatment. People with chronic insomnia may have cause for concern as well—and maybe not so much. These investigators did not find that excess amyloid beta and tau had anything to do with sleep duration or sleep efficiency. 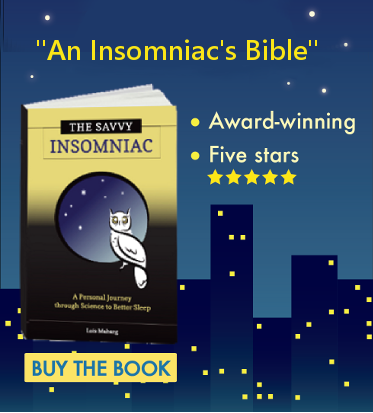 Further, it’s never been shown that the main problem for people with insomnia is insufficient slow wave sleep. Some insomniacs experience a reduced percentage of slow wave sleep. Yet in others, slow wave sleep is intact. The underlying problem in insomnia may instead involve restless REM sleep, which typically occurs in the second half of the night. It may have nothing to do with the development of amyloid plaques in the brain. In any event, chronic insomnia can be treated (although the causes remain largely unknown). 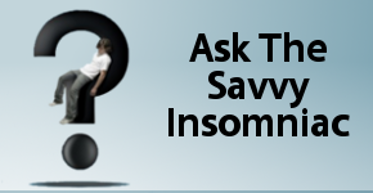 Click on “insomnia treatment” in the tag cloud to the right for more information.